« The Forsters of Alwinton Parish, Northumberland, and the truth about Bygate Hall! Thanks Conor, I’ll certainly call on your mother today. I’m also hoping to buy your book which I haven’t been able to source yet. I’m a great-granddaughter of Oliver Paget Bourke, who inherited Kinard Lodge, born 1870, died 1969. His grandmother was Elizabeth Paget. Would love to share information, if you would like to email. 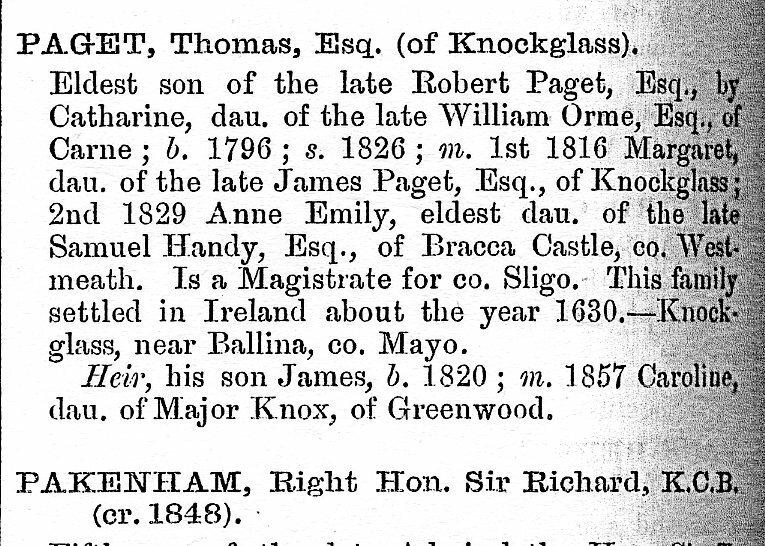 Great to hear from you Helen, I found out a lot about our Paget ancestors on my Ireland trip and should make time to write a new chapter of my family history about them. More by email.